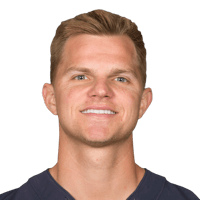 Published: Dec. 20, 2015 at 04:26 p.m.
As time expires in the first half, Ravens Jimmy Clausen finds Kamar Aiken for a 48-yard touchdown. Published: Dec. 20, 2015 at 01:24 p.m. Published: Dec. 13, 2015 at 02:32 p.m.
Ravens Kamar Aiken leaps for a 37-yard catch.